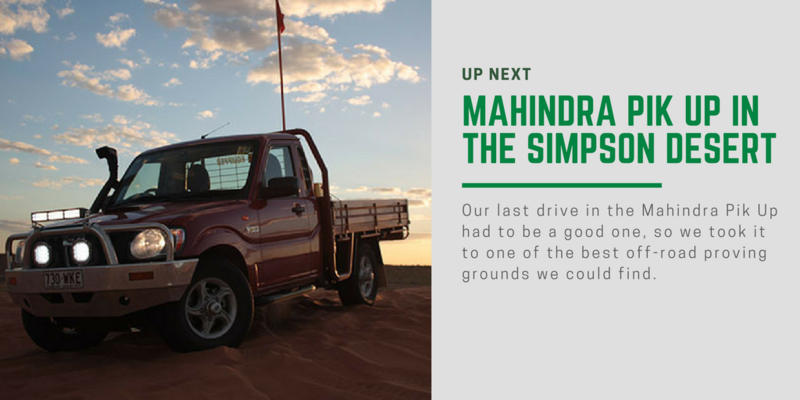 Mahindra’s second-generation Pik-Up work and farm 4WD ute has arrived in Australia and brings a raft of changes lead by a more powerful engine and a new six-speed manual gearbox. Much of the Pik-Up’s appeal is of course in its pricing. This single-cab 4WD in basic cab-chassis guise is just $26,990 drive-away. To make a functional work vehicle, all you need to do is add a rear tray, either a genuine accessory tray (see ‘Ready For Work’ below), or one from an independent supplier. Just in case you thought otherwise, Mahindra is no small fry or johnny-come-lately. Headquartered in India, it’s a giant global conglomerate employing more than 200,000 people in over 100 countries. Among other things it’s the world’s largest producer of tractors (by volume) but has interests in things as diverse as aerospace and defence. Mahindra was founded in 1945 and soon after started assembling Jeeps under licence from Willys-Overland. 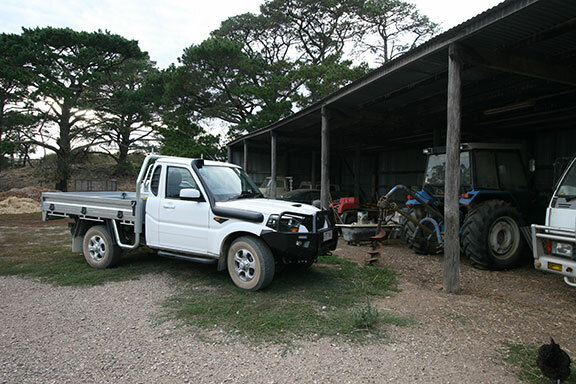 The first Mahindra arrived in Australia in 1990 and was a rugged Jeep-style 4WD powered by a Peugeot diesel made under licence. 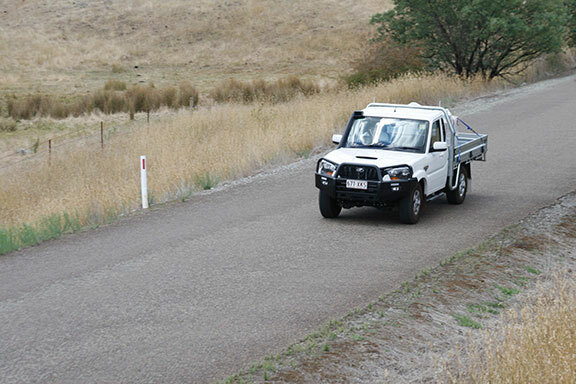 Mahindra offers a useful range of factory accessories for the Pik-Up, many of which are developed in Australia and fitted to our test vehicle. They start with a galvanised steel tray ($2959), which looks much like the genuine Toyota tray you would get with a LandCruiser 79. 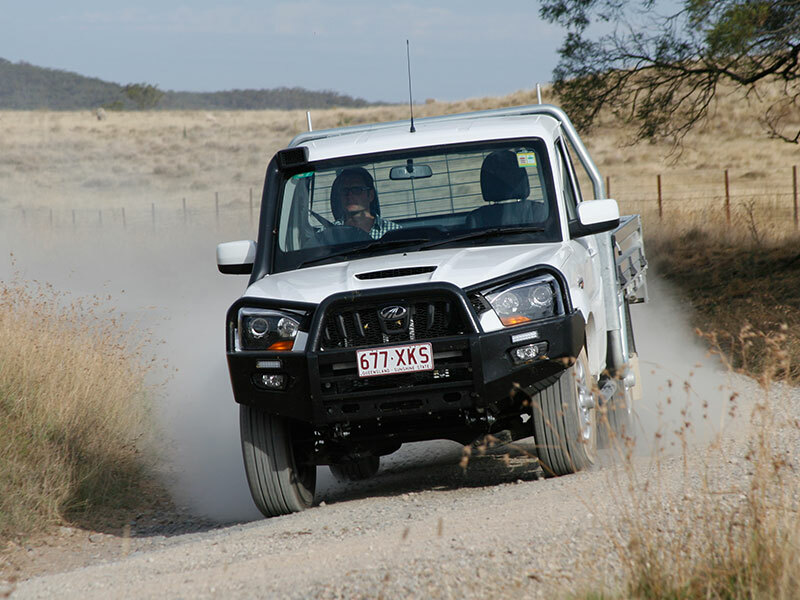 Our test vehicle was also fitted with a winch-compatible steel bullbar ($2574), a towbar ($872) and an air intake snorkel ($765). Mahindra also offers aluminium trays, colour-coded steel trays and canvas seat covers as factory accessories. Also in the pipeline is a suspension upgrade and lift kit, and a stainless-steel nudgebar and bashplate. The new Pik-Up comes in both single-cab and dual-cab configurations. 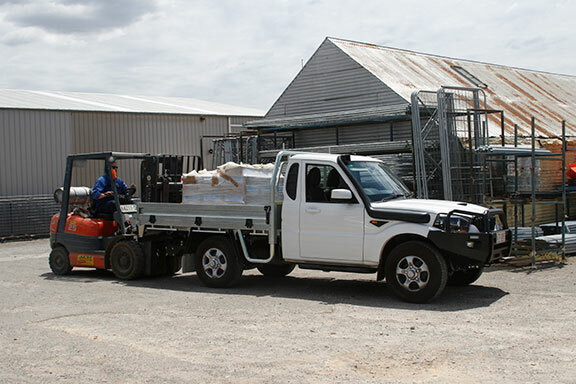 The single-cab only comes as a cab-chassis but the dual-cab is offered as either a cab-chassis or as a ute with a factory tub. 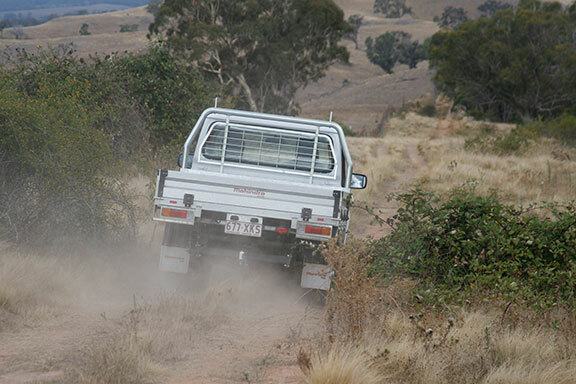 The current 4WD models will soon be joined by a 2WD single-cab. Dual-cab 4WD models are also be available as an up-spec (S10) model with a six-inch touchscreen, sat-nav, a reversing camera, Bluetooth, driver’s seat height adjustment, automatic headlights and windscreen wipers, day-time running lights, and climate control in addition to the equipment available on the standard S6 models.